"Fantastic! Big, wild, rugged, authentic, nooks and crannies to ski for days. If you are a skier, Jackson Hole is the place." "Snowbird opened my eyes to what steep, deep, and gnarly terrain is. From the location to the staff, it&apos;s absolutely fantastic. The terrain is challenging and always keeping you guessing." "Most challenging ski area I have skied!" "Amazing in every aspect , never under-challenged at Big Sky!" 5. Squaw Valley Alpine Meadows, Calif.
"Squaw Alpine has a mystique that defies description in mere words." "Alta is for skiers. It&apos;s a must for all skiers at some point in life. Alta has the best snow, terrain, and skiing experience for diehard skiing. No need for extra stuff here. No energy left after a good day, anyway." "Whistler is one of best resorts in North America. Great terrain, great snow, incredible food, and cool people." "Revelstoke is such an epic mountain, Kill the Banker and Conifers of Gnarnia are forever etched into my mind as the best rides of my life. You could easily spend weeks exploring all the terrain at Revy and barely scratch the surface of what&apos;s there. 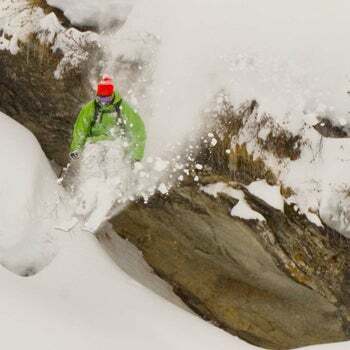 The cliffs are epic but doable with a little confidence and decent powder." "You come to Arapahoe Basin to ski challenging runs in good snow and have fun. Good for steep challenging bumps, chutes, tree runs, and open bowls. Provides expert terrain with some hiking and easy traverses. Brings the kid out of everyone. The ability to party on the beach is always big plus." "Lots of steep, lots of bumps, great food, great variety of terrain for all. Some of the best black runs in the world. Very cool town. It is Aspen in blue jeans. Yes, Telluride is hard to get to but that also means no lift lines on the powder days, weekends or holidays."